I am wonder what is the reason for the slow release of this series and want to know what I could do to help. It's a low priority project and the current translator has his own life to deal with but I can tell you there are episodes being worked on. Don't ask when they are going to be done. I don't think there is much you can help unless you can tell us what you can do. I know that people here have there own pace in doing these subs, but with the way of how other live-actions shows are being licensed; like Ultraman Max and Ultraman Mebius I am kind of hoping that people that are doing Kamen Rider Kuuga and Agito be able to finish subbing them, just in case crunchyroll gets the idea. I am also hoping that since the rest of the Kamen Rider Series of the Heisei era where done; even Ryuki and Faiz/555 were redone in DVD version and perhaps the ones that are doing the Blu ray version of W/Double in helping the first two series in finishing them before going back. is Kuuga coming out on blu-ray? stardrago wrote: I know that people here have there own pace in doing these subs, but with the way of how other live-actions shows are being licensed; like Ultraman Max and Ultraman Mebius I am kind of hoping that people that are doing Kamen Rider Kuuga and Agito be able to finish subbing them, just in case crunchyroll gets the idea. I am also hoping that since the rest of the Kamen Rider Series of the Heisei era where done; even Ryuki and Faiz/555 were redone in DVD version and perhaps the ones that are doing the Blu ray version of W/Double in helping the first two series in finishing them before going back. What would be wrong with the licensing? You say it like its a bad thing. It'd be fantastic if these shows got more exposure that way. The goal of fansubbing should be to strive to get their show of choice released to a larger audience. To me, it's a bit of a double-edged sword. Yeah, you do definitely get more exposure for the show and it's great that the creators get more money. On the other hand, you never quite know how they're going to sub something or how much effort they're going to put into it. I'd much rather have fansubs from a team that loves a show than official subs from someone who's just doing this to get a paycheck. That doesn't mean I don't support the official release, I just don't like it as much. Oh great news ! I hope to see that, I haven't started Kuuga yet, good reason to wait a little more ^^. Thanks guys ! 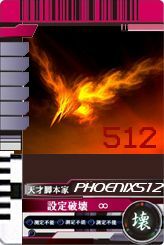 Phoenix512 wrote: It's a low priority project and the current translator has his own life to deal with but I can tell you there are episodes being worked on. Don't ask when they are going to be done. I don't think there is much you can help unless you can tell us what you can do. Was the current translator has been busted by his parents or relatives or something? Caught live: Fapping to bug men.